*Authorized Dealer of Shaw Floors* As independently owned stores you’ll experience a level of service you thought no longer existed while supporting your local community. At Clayton Paint & Flooring Center, we are proud to deliver the kind of specialized attention and help that you simply won’t find in larger chain stores. Our store professionals are comprised of trained specialists whose knowledgeable experience and helpful advice will ensure the success of every project you have. You’ll also find an array of superior quality products including premium Benjamin Moore® coatings, for all of your projects, simplifying your shopping to one convenient stop – our store! We are proud to be an independent Benjamin Moore paint dealer, serving Rabun and the surrounding areas. 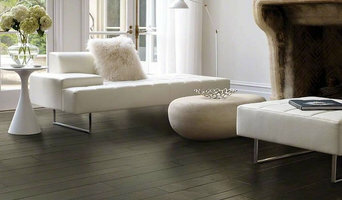 To assist you in all your home decorating and home improvement needs, we are also a Full Service Flooring Center offering Free In-Home Consultation, Free Flooring Estimates, Quality Installation and an array of flooring products: * Luxurious Carpet and Custom Rugs; including wool, sisal, jute, plush, saxony, frieze, berber and more * Custom Tile; including natural stone, slate, glass, porcelain and ceramic * Hardwood Flooring; including all species in solid and engineered * Bamboo, Cork, Laminate and Vinyl Flooring For your convenience, we are open: MONDAY: 7:30 AM - 5:00 PM TUESDAY: 7:30 AM - 5:00 PM WEDNESDAY: 7:30 AM - 5:00 PM THURSDAY: 7:30 AM - 5:00 PM FRIDAY: 7:30 AM - 5:00 PM SATURDAY: 8:00 AM - 12:00 PM SUNDAY: CLOSED If you have any questions, please don’t hesitate to contact us at (706)782-2741. Terris Treasures is a Stockist for Chalk Paint® Decorative Paint by Annie Sloan. 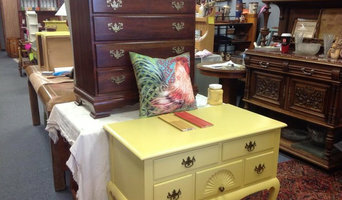 We also sell vintage furniture, antiques, accessories, garden and gift items. We our a family owned business that has been around for over 30 years. We take pride in what we do, we follow all the right steps and we guarantee our work. We are fully insured! I started down the decorative painting path twenty years ago when a friend asked me to hand paint roses on her foyer walls. I fell in love with the outcome and have pursued learning how to apply paint, plaster and waxes to create the most fantastic finishes for my clients ever since. From updating small vanities in tired bathrooms to applying beautiful hand-troweled plaster in an entire house, I have done it all! Award winning, premium quality paints in designer colors. The ONLY paint company not afraid to tell you what's inside. Lullaby Paints might take a little more time and effort to produce, but we think that our babies are worth it. For many years, moms have been able to review the ingredients in all the foods that they and their family eat, so they can make an informed choice about what to buy. This ingredient disclosure option is now available for paints, with Lullaby Paints being the first (and only) manufacturer to offer both Declare Labels and Third Party Verified Health Product Declarations (HPDs). Now moms, who like to know what is around and inside their children, can make a more informed choice about the paints they use in their precious baby’s nursery. Health Product Declaration: The HPD Open Standard provides a consistent, and transparent format to accurately disclose the material contents, and associated health information of a building product. Declare Label: Declare labels are issued to products disclosing ingredient inventory, sourcing and end of life options. They are based on the Manufacturers Guide to Declare, administered by the International Living Future Institute (ILFI) and certified for use in Living building Challenge projects. Our products are Zero VOC, conforming to CDPH 01350 (VOC emissions test taken at 11, 12, & 14 days for classroom and office use). Custom Painting is a locally-owned and -operated handyman and painting business serving clients in and around the Asheville area. With years of experience in the industry, we are your number one choice for your next home project. Call us today and we look forward to your future business. Welcome to The Old Fern.We are proud to be the one of the largest providers of reproductions of Botanical Prints and Vintage Natural History Prints. The Old Fern specializes in Museum Quality prints and artwork from hard-to-find historical texts, paintings and lithographs. Our method of capturing and enhancing images preserves their original details and timeless beauty and allows us to offer them at affordable prices. John Rogers Pro Finish For the best painting results in the region, count on the expert painting contractor at John Rogers Pro Finish. We offer superior painting services to cover all areas of residential painting. Since 2000, we’ve established our reputation as the proven professionals to help you perfect the aesthetic of your home. With over 20 years of industry experience, our locally owned and operated company has proven that we do quality work with top-of-the-line products. Our painting contractor and team of painters take great pride in providing you with high quality workmanship at the most cost effective prices. Call John Rogers Pro Finish in Sylva, NC today at 828-508-3912 for the expert painting contractor who guarantees the best results for your painting needs. Let us show you what the professional difference will make for your next painting project! 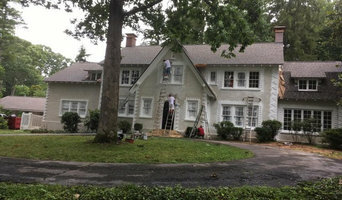 JB Painting has been leading the painting industry in South Carolina since 2001. With over 30 years of experience in the industry and we maintain the qualities that have make JB Painting successful. We feature superior craftsmanship, quality paint products, and guaranteed customer satisfaction. We are the highest rated painter on Angies List in this area for four years in a row. We use Zero VOC or low VOC products and environmentally friendly techniques. What can we do for you? Let me estimate your job. I can be very competitive. We can help you with any painting need you may have, also we remove wallpaper if possible. Leave it to a professional. We provide quality service at a price that you can afford. We have been with Home Advisor for many years. No one is rated higher for longer than us!!! Call us today Basic rate is $165.00 for a 10 by 10 bdrm with 8 ft ceiling, walls only, 2 coats, PAINT INCLUDED!! We carry commercial liability insurance and workmans comp. We belong to Greenville County Better Business Bureau and the Painting and Decorating Contractors of America. Licensed in Greer and Greenville. We are the best painted in Waynesville, NC. Please contact us for all your painting needs! Paint and wall covering contractors are experts in the specs, application and removal of paint, wallpaper and other wall coverings. They can help you choose the paint color and finish, wallpaper style or specialty covering that best suits the needs of your Asheville, NC home, whether the job is for the interior or exterior. In addition, they can strip off old paint or paper and prepare surfaces through sanding, skim coating and other processes. Many can handle decorative paint treatments and materials such as plaster. 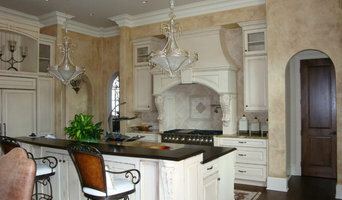 A paint and wall covering contractor might work closely with Asheville, NC interior designers, builders and others, too. Here are some related professionals and vendors to complement the work of paint & wall covering dealers: Interior Designers & Decorators, Artists & Artisans, Window Treatments, Carpet Dealers. Find a paint and wall covering contractor on Houzz. Narrow your search in the Professionals section of the website to Asheville, NC paint and wall coverings. You can also look through Asheville, NC photos to find examples of paint jobs and wall coverings that you like, then contact the professional who worked on them.